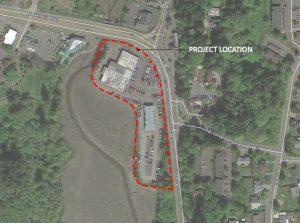 A self storage company is moving ahead with plans for a four-story facility near Safeway in Poulsbo. 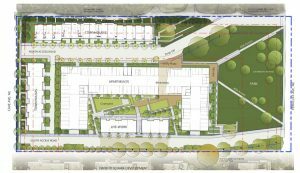 Site plan and critical area permit applications were filed for a 90,000-square-foot facility to be constructed on 2.55 acres at the southwest corner of Lincoln Road and 10th Avenue, according to a notice published this month by the city. 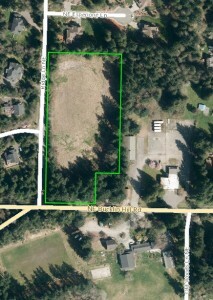 The hillside site is situated just east of Highway 305 and south of Safeway. Two floors of the building would be above ground on the east (uphill side of the property), with two stories below ground. All four stories would be above ground on the west (downhill) side. Customers would access the facility from Lincoln Road and 10th Avenue. A 100-foot buffer would protect the south fork of Dogfish Creek on the southwest corner of the property. The applicant is Urban Self Storage of Seattle, which also operates facilities near Keyport and on Bainbridge Island. 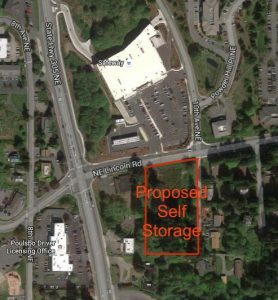 A subsidiary of Urban Self Storage bought the Poulsbo property from Union Bank in 2014 for $545,000, according to county documents. 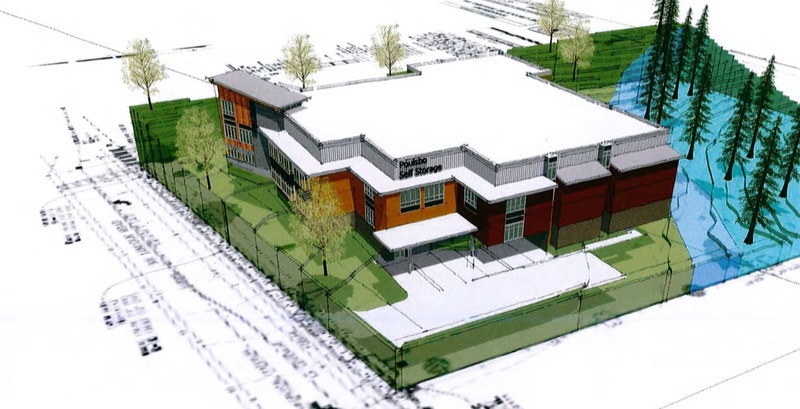 Building rendering by Jackson | Main Architecture, via the city of Poulsbo. 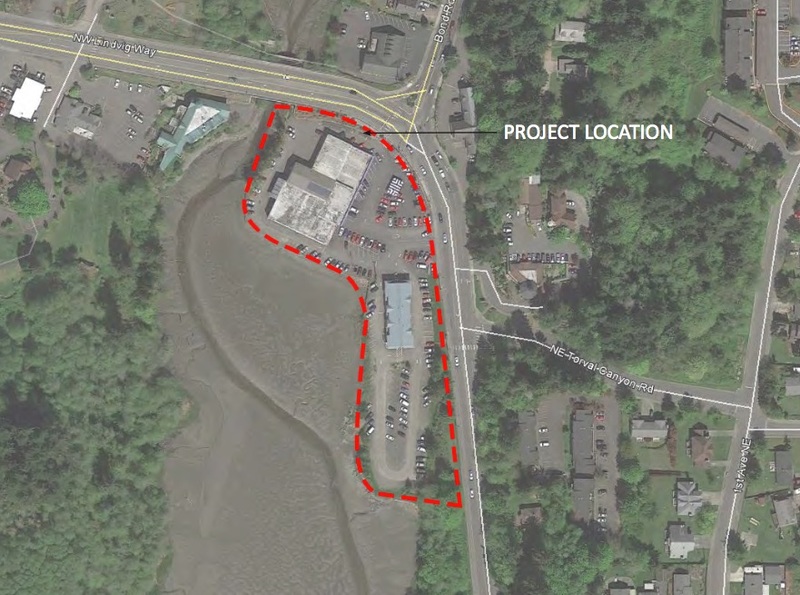 Planning activity is picking up on Bainbridge this year, with a bevy of land use proposals in various stages of permitting. The applicant: DeNova Northwest of Kent. 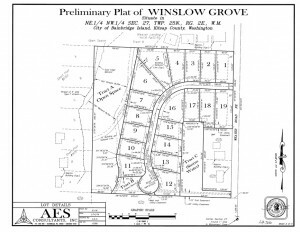 They’re also behind the “Ashbury” subdivision between Wyatt and Shepard. The property: Four parcels totaling 8.77 acres west of Weaver Road, across from the Rotary Park ball fields (pictured above). 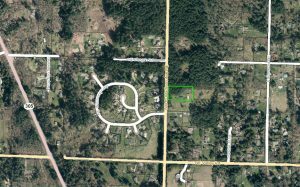 There’s a 1,500-square foot rambler on the main parcel. 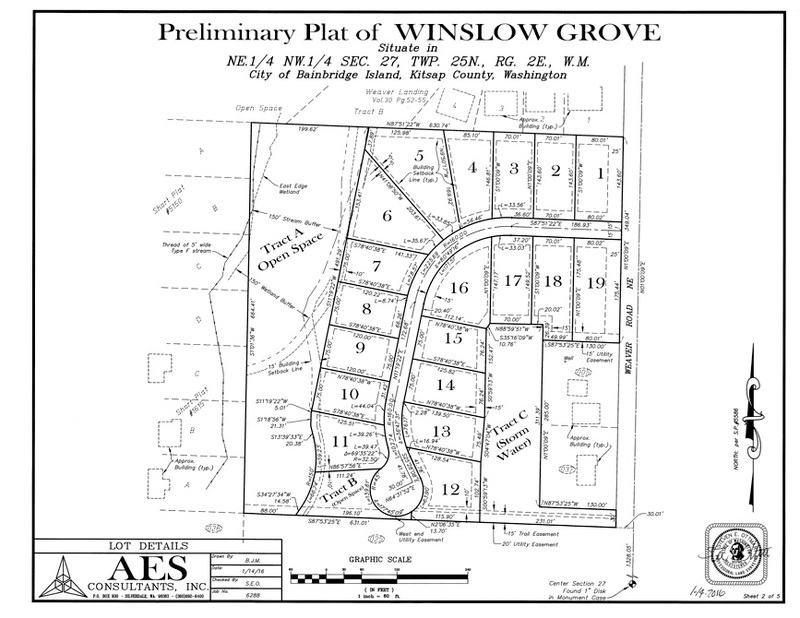 The proposal: A subdivision creating 19 residential lots, surrounding a street and cul-de-sac, with access from Weaver (see inset image). Next steps: The city has posted a notice of application for the project. A SEPA comment period will be open until March 4. 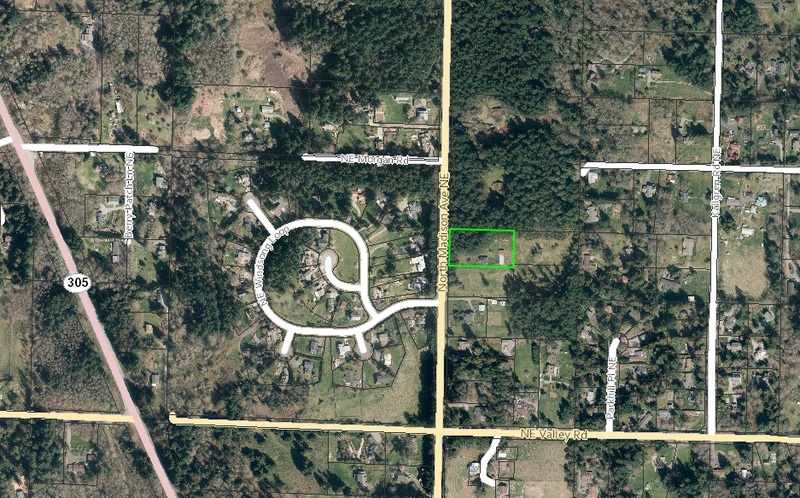 The property: A 4.3-acre vacant parcel at the corner of Bucklin Hill Road and Ridge Lane. It’s next door to the American Legion hall and across from Hyla Middle School. 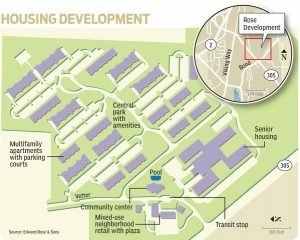 The proposal: The project would create two buildings, each about 1,800 square feet. One building (pictured above) would be a teaching barn to provide training for students and assistance dogs. The other building would house an instructor/caretaker and two students. 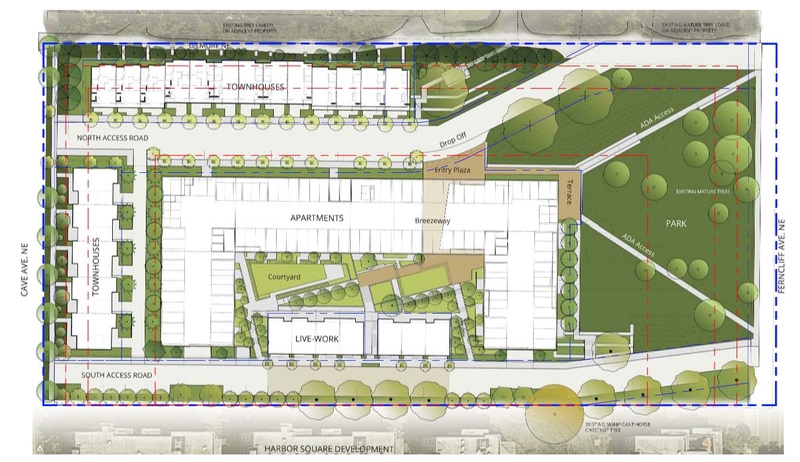 Lawns, a courtyard and parking lot are also planned. 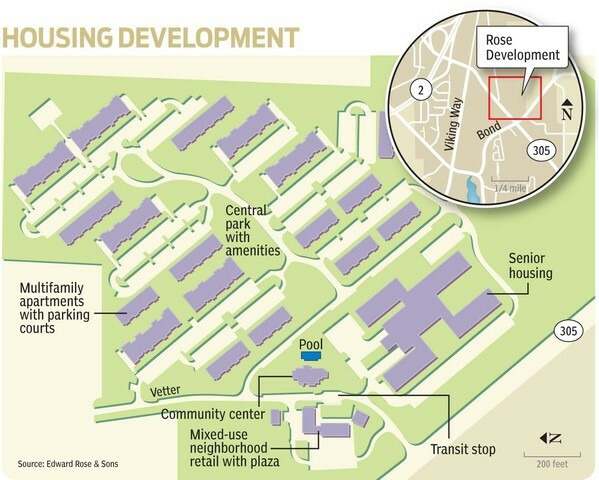 The development would be tucked in the northwest corner of the property, with access from Ridge Lane (not Bucklin). Wenzlau Architects is designing the center. 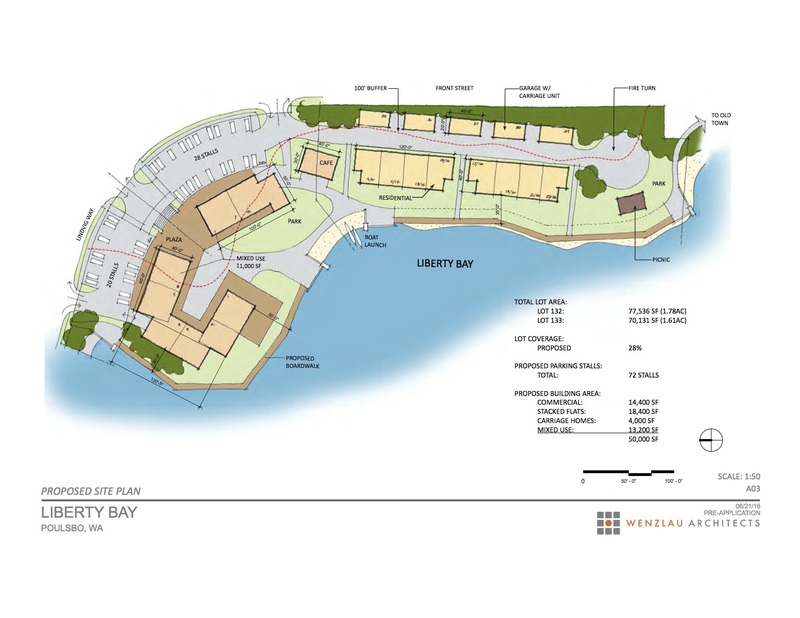 You can see more preliminary plans here. Next steps: The proposal is in the pre-application phase. A public participation meeting will be held at 6:30 p.m., March 1 at Waterfront Park Community Center, 370 Brien Drive.